Carolina Willows is a quaint condominium community that is located in the Carolina Forest area of Myrtle Beach, South Carolina. The community is gated for resident’s security and privacy. Residents get to enjoy a beautiful swimming pool area, perfect for those hot and sunny days in South Carolina. Thereare many areas near the community for residents to enjoy shopping, dining, entertainment, nightlife, golf, and outdoor recreation. You will have easy access to Highways 501, 31, and the 17 Bypass. 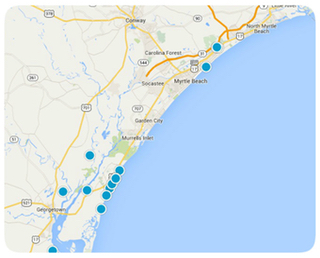 These routes will take you to all of the popular areas in Myrtle Beach. The condominiums in the community are 3 bedrooms and affordable. Take a look at the beautiful condominiums that we have available today. If you are interested in purchasing a condo, contact us for more information.